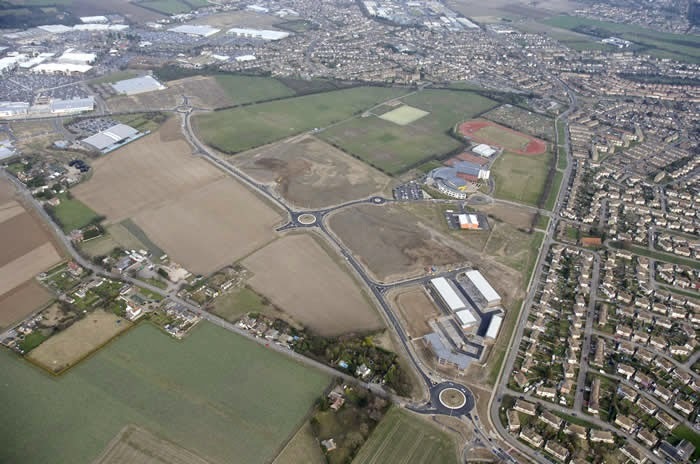 Eric Pickles, Secretary of State for the Department of Communities & Local Government (DCLG) has backed plans to build up to 550 new homes, plus commercial and retail space at Eurokent in Thanet. The decision follows the submission of an appeal after the rejection of the planning application by Thanet District Council. The appeal was ‘recovered’ by the Secretary of State because it was for the development of more than 150 homes and on a site larger than five hectares. The case for the appeal was considered at a public inquiry, held in August in front of Robert Mellor, the DCLG-appointed senior inspector. The decision now allows East Kent Opportunities (a joint venture between KCC and Thanet DC) and Rosefarm Estates to move ahead on the Eurokent proposals, which include the development of up to 550 homes. In addition to the residential development, permission is also granted for up to 54,550m² Class B1 (business) floorspace; a car showroom of up to 8,151m²; a new local centre comprising up to 2,000m² Class A1 (Shops), Class A2 (Financial and Professional Services) and Class A3 (Cafes and Restaurants), community facilities up to 5,000m² (Class D1/D2) and community healthcare up to 1,200m² (Class D1), and associated highway works. Eric Pickles and the inspector agreed Eurokent should be permitted as Thanet council accepted it was unable to demonstrate that there is a five year supply of housing land as required by national planning policy. The appeal decision recognises that although the site is greenfield, it is within the built-up area and has already been allocated for other built development by the Local Plan.